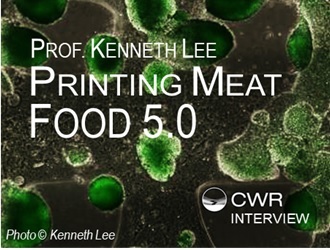 Kenneth Lee is the Chief of the Developmental and Regenerative Biology Thematic Research Program, School of Biomedical Sciences at the Chinese University of Hong Kong (CUHK). He is also the Director of the Key Laboratory for Regenerative Medicine, Ministry of Education China, and Director of the Joint CUHK-University of Southampton laboratory for Stem cell and Regenerative Medicine. Educated in Scotland, he has over 35 years of research and teaching experiences, published 146 scientific papers and awarded 2 US patents. His research interests, among which many have commercial values, include the discovery of small molecules that induce somatic cells into become pluripotent stem cells, molecular biology of embryo development, cardiac and skeletal muscles regeneration, BRE gene in stem cell and cancer biology, and drug discovery for the treatment of liver fibrosis. In 2015, Professor Lee found and has been the CEO of StapWorks Stem Cell Limited which markets a “Programin kit” for producing stem cells from human skin fibroblasts. Stapworks’ performance was recognized by the Hong Kong Federation of Innovative Technologies and Manufacturing Industries (FITMI) and Bank of China and was a Bronze Award winner in 2015. Personally, Professor Lee has also won many other awards including the prestigious Diamond Jubilee International Visiting Fellowship, University of Southampton (2014 – 2017). Moreover, He is a Prestigious Professor at the Chinese Academy of Science and visiting Professor at Robert Gordon University.